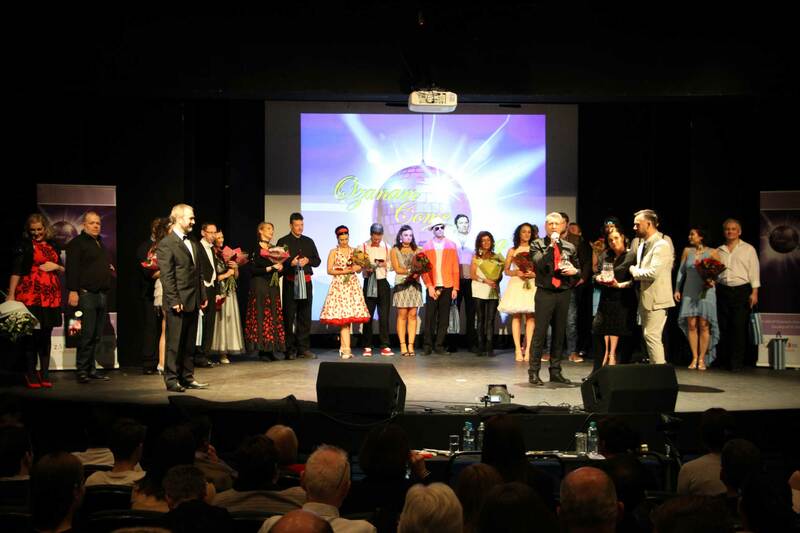 This charity event is Ozanam Houses biggest annual fundraiser in aid of its many Youth Services. 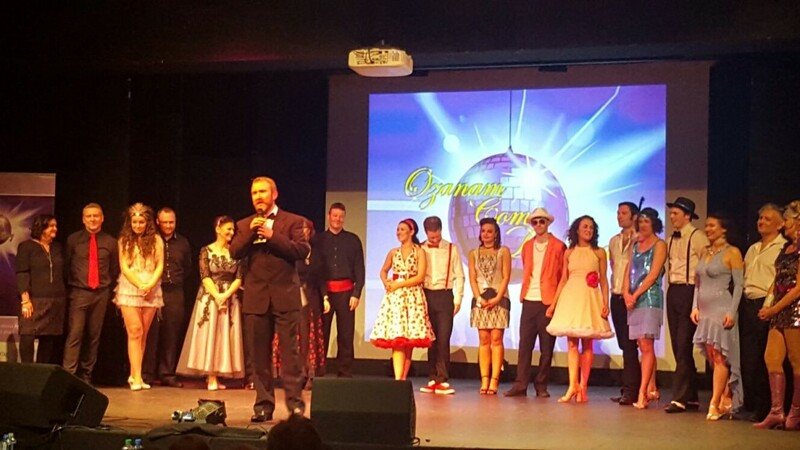 We received a few more pictures of the event night Ozanam Come Dancing 2016, love the outfits! 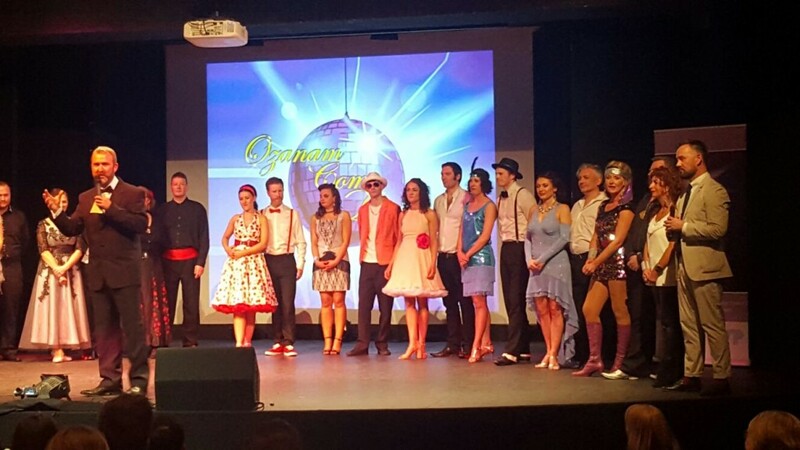 A couple of weeks ago we had the pleasure of interviewing all ten Dancing Contestants for the Ozanam Come Dancing Charity Fundraising Event 2016, which is on this weekend (Friday 4th of March) in Liberty Hall Theatre, Dublin. Excitement & nerves are building up, and the contestants are busy with their dress rehearsals this week. The Playlist below contains all 10 interviews, & you can jump to any one you wish by clicking on the menu icon on the top left of the video player. 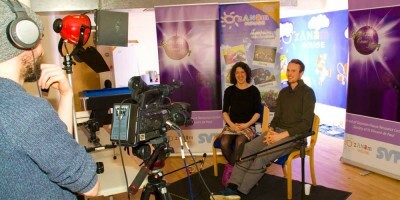 Have a look and see what they have to say about their experience and the event! With all our dancers vigorously practicing their dance routines, and all at different times on different days, we thought we would host a little get-together for them to meet each other and get to know one another before the big show on March 4th. 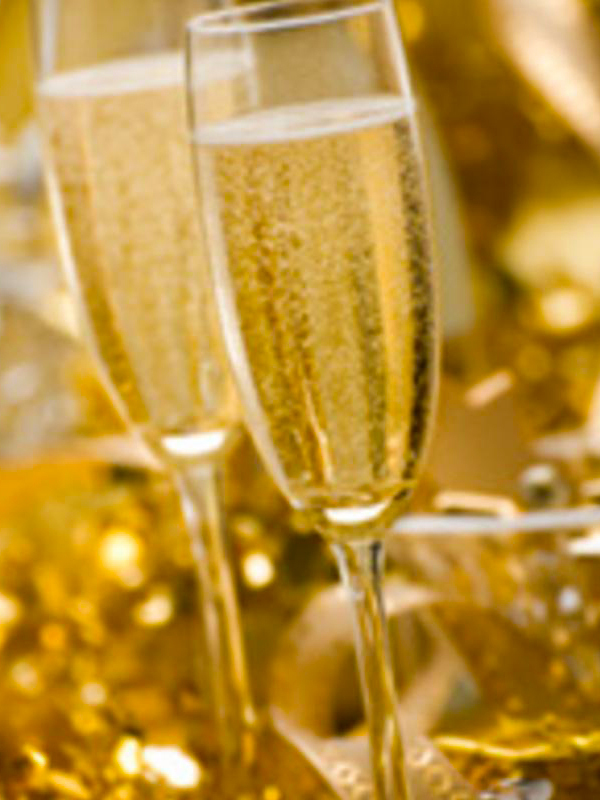 Lets hope we’re not breaking out the bubbly too early! Tickets and information for the live show is available through our Upcoming Event page. We are delighted to announce our Celebrity Judging panel for the Ozanam Come Dancing charity event 2016. He graced the stage for us last year, and had such good fun he just had to come back! 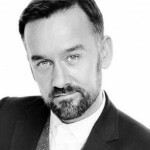 The well known TV presenter and celebrity, Mr Brendan Courtney will host the event for us again this year! 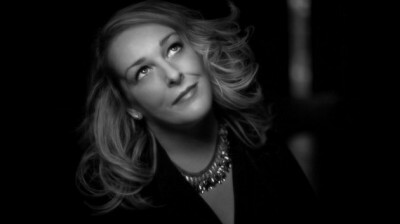 Our first Celebrity Judge is a familiar face to our panel; Katherine Lynch, the well-known Irish TV Personality and Comedian. She brings her own style and flare and we are delighted to have her as part of our judging panel again this year. 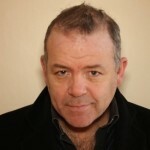 Our second Celebrity Judge is Mr Gary Cooke, an Irish Actor, Satirist and Writer who is one of the stars on screen, of ‘Après Match‘ and on stage, ‘I, Keano‘ and ‘MacBecks‘. He may even bring some of his characters with him on the night! 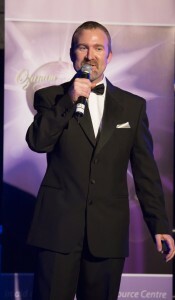 And finally, but not least, our third judge is Mr Tony Rock, Manager at Ozanam House Resource Centre. He has all the inside knowledge on how the dancers have been progressing since they started to learn their dance routines! Our fantastic Dance Choreographer June Carr gave us an interview prior to the charity event Ozanam Come Dancing 2016. 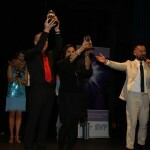 June gives us insight into her background as a dancer, the challenges she faces as an instructor, and a well wishing message to all our dancers competing in this years event. 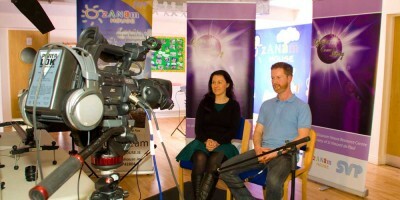 This week we had the pleasure of recording video interviews with all the Ozanam Come Dancing Dancers! They have given us the inside scoop of the highs and lows of their experience to date, the challenges they face and how their fundraising is going. We will try to get you a sneak preview of the interviews before the show, but you can get to see them during the live show on March 4th. Tickets for the live show are available through the Central ticket Bureau website, and you can find details and ticket links in our Upcoming Events page, on the menu to the top right of this page. You can see their fundraising progress Here, and feel free to donate and support your favourite dance couple, every cent raised goes towards the Ozanam House Youth Programmes! 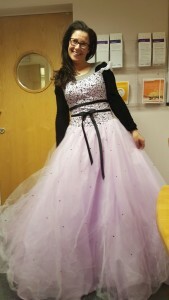 Ozanam Come Dancing is Infectious! 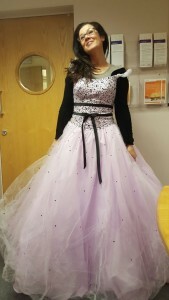 Ozanam House Staff member Kim tries on some costumes for size… Maybe we will see her on the stage next year?! 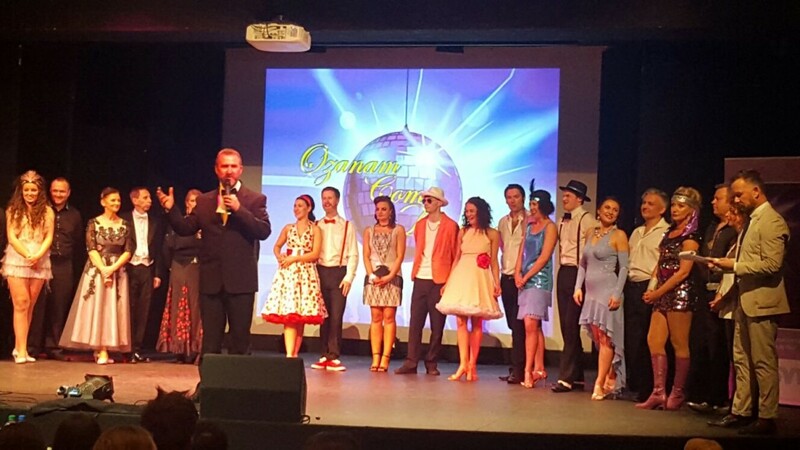 Music, Lights and on-stage Dance Moves are all key parts to putting on a show like Ozanam Come Dancing. 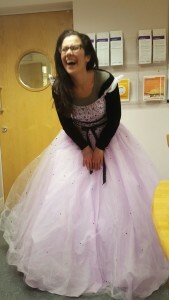 And this week we’ve begun to put together one of the major fundamentals when it comes to glitz and glamour, COSTUMES! With 10 completely different dance routines comes 10 different styles. It doesn’t matter if your dressing for the Waltz or the Cha Cha Cha, costumes let all dancers know that showtime is just around the corner!